Make keys for toolboxes, canopys, racks, gas caps, etc. 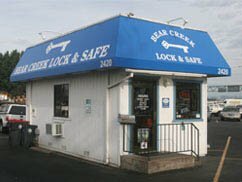 Choose Bear Creek Lock & Safe as your local experienced locksmith. We can open cars, create original keys from a VIN number, rekey locks, repair locks and replace locks. We can impression original keys for mailboxes, file cabinets, roof racks, toolboxes, etc. We have over 3000 different types of keys and a good selection of designer keys for Kwikset and Schlage. 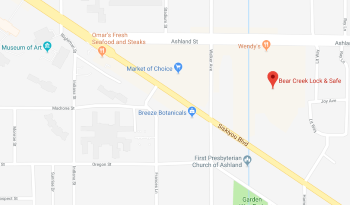 We're locally owned and have been providing lock and key services to Medford and Ashland since 1981. 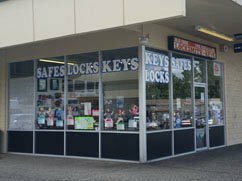 Our experienced employees can help you with all of your lock and key needs and we have two retail locations as well as mobile services. 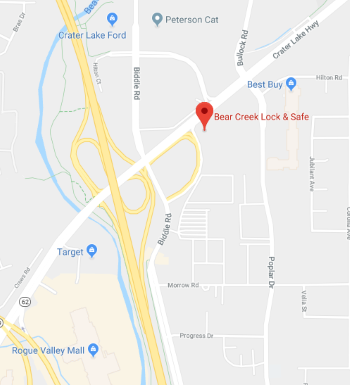 Bear Creek Lock & Safe offers the highest quality in residential, commercial and emergency locksmith services available. Our locksmiths are ready to provide professional services to you as fast as possible. We have two retail locations and a fleet of vehicles to come to your home or business. We guarantee the service you receive is the best available. It's why we rate high in customer satisfaction surveys. 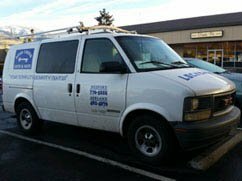 Our locksmiths are ready to provide fast, courteous and professional service for you. We offer you the highest quality lock and key services day and night. We can open homes, businesses, cars and trucks and also rekey and masterkey locks and diagnose and repair or replace damaged locks, latches and strikes. When you call us you're talking to a locksmith and we can help diagnose many issues over the phone. We know that when you need your locks working and secure you need fast service and we strive for same-day service. For your convenience you can call us by phone, text us or send us photos, email, or chat directly with a locksmith online. We've got someone to answer the phones 24 hours a day for emergency service. We can come to your location 24 hours a day every day of the year. Call the main number and you can connect to the on call person at any hour. Leave us a Review or Feedback!